Thermomass, A CRH Company, manufactures a complete line of energy-efficient composite insulation systems and fiber-composite, non-conductive connectors for use in tilt-up, precast, and cast-in-place construction applications. Since 1980, the company has been a pioneer in the concrete sandwich wall market with patented products that are designed to work together for the highest level of performance. The systems maintain maximum R-value and optimum moisture resistance through the elimination of thermal bridges. 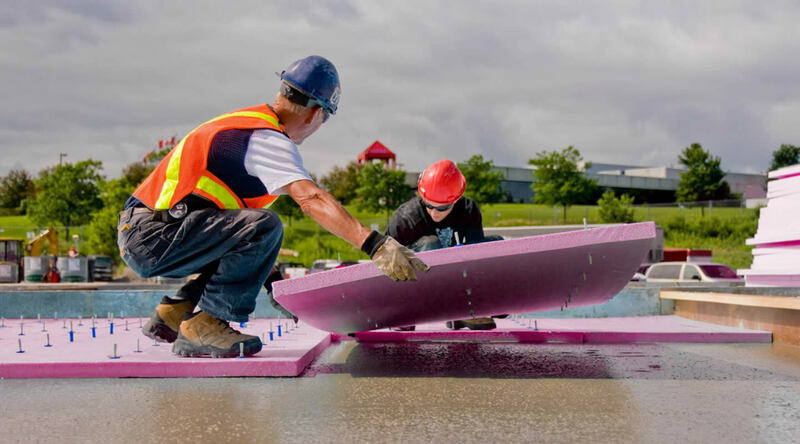 Depending on your coverage and specification, Thermomass offers several different insulated concrete systems to meet your requirements. 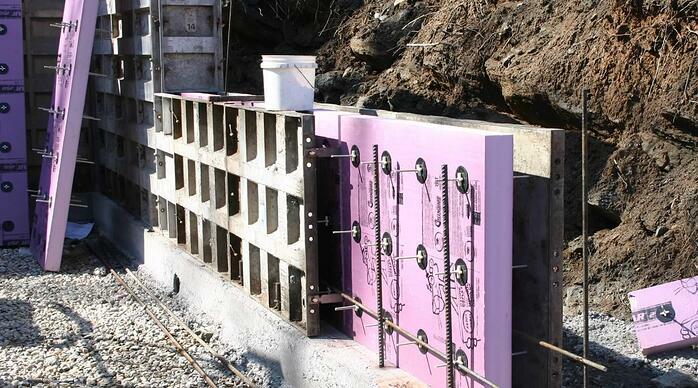 From non-composite insulated sandwich walls for tilt-up construction, to solutions ideal for modular precast, each of the Thermomass systems feature different rigid insulation choices. The insulation is created using a specialized process known as pultrusion which allows Thermomass to create continuous lengths of reinforced polymer structural shapes that deliver constant cross-sections and consistent results - a critical factor for sandwich walls and their long-term structural integrity. Thermomass also pioneered the process of CNC fabrication of rigid insulation to exacting specifications to best meet the ideal of edge-to-edge panel insulation. 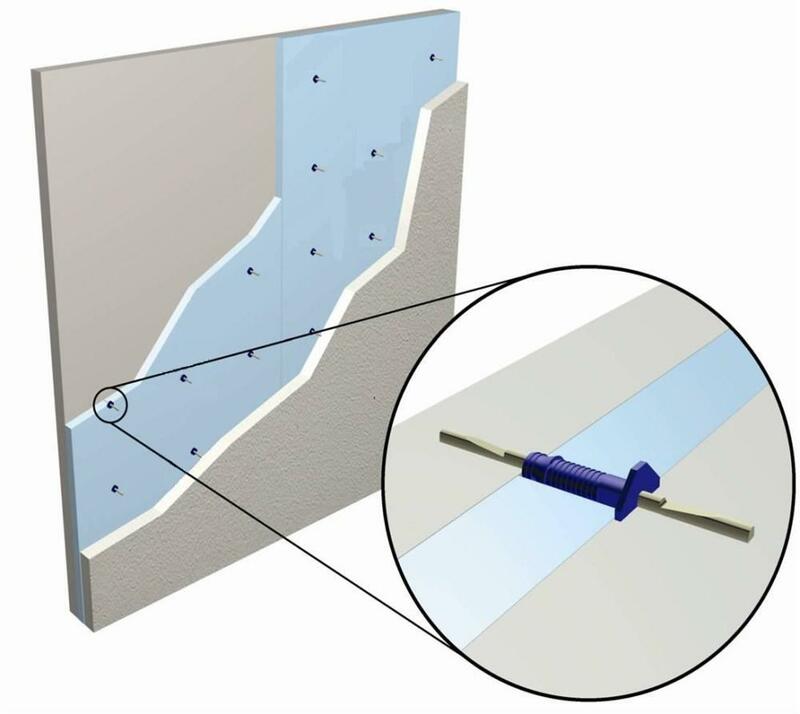 Combined with Thermomass connectors, this system has been the smart choice for almost four decades for any concrete panel application - from single-family homes to NFL football stadiums and everything in between. Another key element of Thermomass insulated concrete systems are the fiber-composite connectors with the strength and flexibility of steel plus the non-conductive and non-corrosive properties vital to today's energy-saving, sustainable building practices. Thermomass connectors are designed for the construction of structurally composite, load-bearing and cladding concrete sandwich wall panels. The connectors are resistant to corrosion and alkali, and include a structural portion composed of E-CR glass fiber and cured vinyl ester resin. The vinyl ester matrix impregnates the fiber strands, creating a composite material that has been tested and shown to be resistant to chemical attack. Additionally, this pairing creates a material that is exceptionally strong while possessing low thermal conductivity. As part of a stringent quality control process, Thermomass connectors are subject to rigorous third party evaluation. Additionally, traceable quality control processes are implemented at our manufacturing facility through laser etching of serial numbers and product testing. The company exhaustively tests all its connectors and actively publishes those findings, and also examines panels in service to verify performance long after the panels are erected. Visit the Thermomass website for more information on specifications and the available systems.